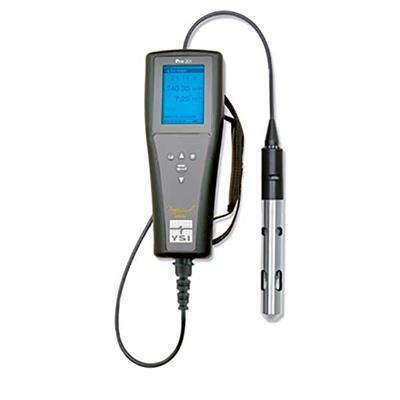 For the measurement of DO, the HI98193 is supplied with the HI764073 polarographic dissolved oxygen probe. This probe uses preformed PTFE membrane caps that are field replaceable. The probe connects to the meter with a unique quick connect waterproof DIN connector allowing for a secure attachment without a threaded connection that is also easy to remove. 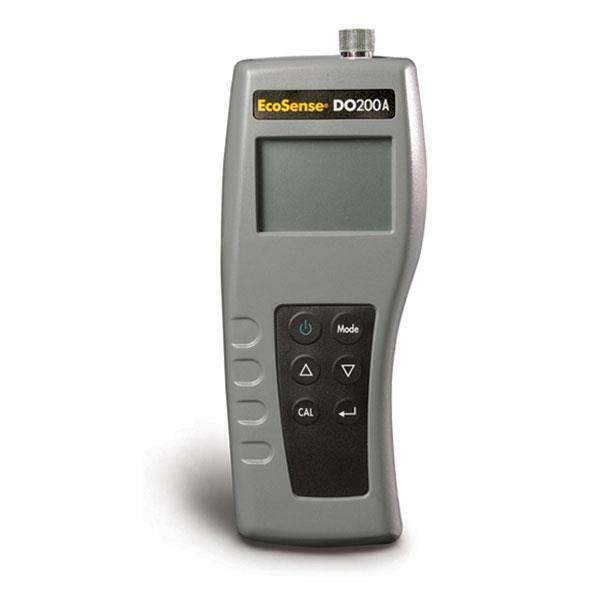 The HI98193 portable DO meter has extended ranges of up to 50 ppm and 600% saturation. 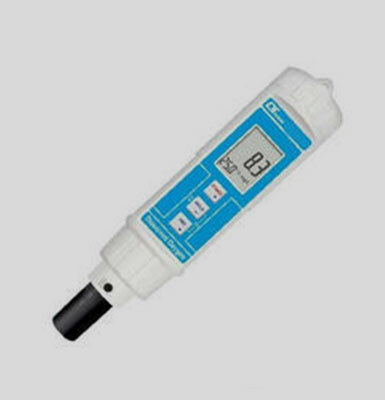 When measuring dissolved oxygen, compensations for pressure, temperature, and salinity are essential for an accurate reading. 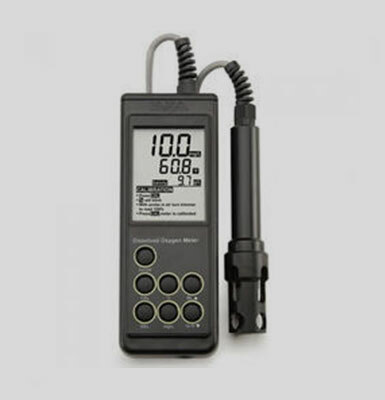 Pressure compensation can be done automatically with the meter’s built-in barometer or by manual entry. 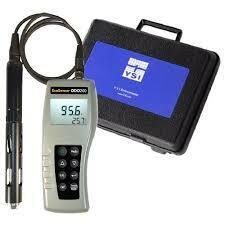 Calibration of the built-in barometer is done to one point by entering the value of a reference barometer. 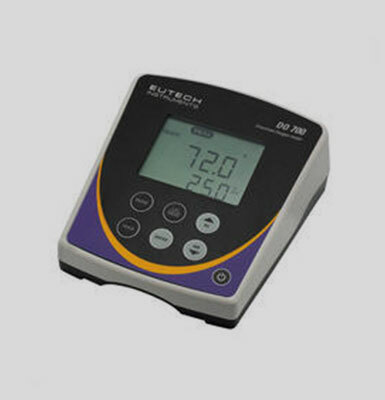 Pressure is displayed in user-selectable units including mmHg, inHg, atm, psi, kPa. The HI98193 DO probe has a built-in temperature sensor for automatic temperature compensation. 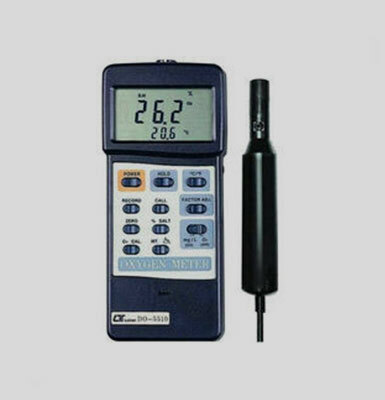 The temperature sensor can be calibrated to one or two points. Manual entry of salinity values allows for the salinity compensation of dissolved oxygen readings in saline waters. Other features include built-in methods and calculations for the measurement of Biological Oxygen Demand (BOD), Oxygen Uptake Rate (OUR) and Specific Oxygen Uptake Rate (SOUR).